I've always admired the resilience of sparrows, often watching them working as pairs searching in the city food halls for crumbs. They seem to be tough intelligent little birds. I don't often see them where I live in my semi rural home, until the bird seed is on the table. They turn up out of thin air with all their mates to take advantage. 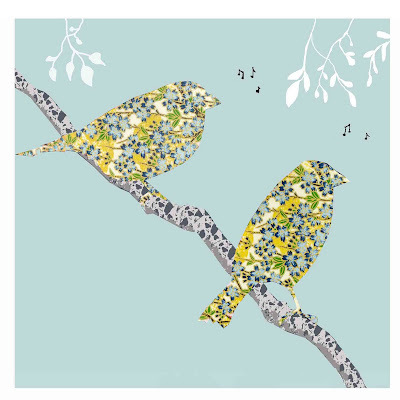 These two little birds are singing a duet! Very beautiful and captivating Christine! 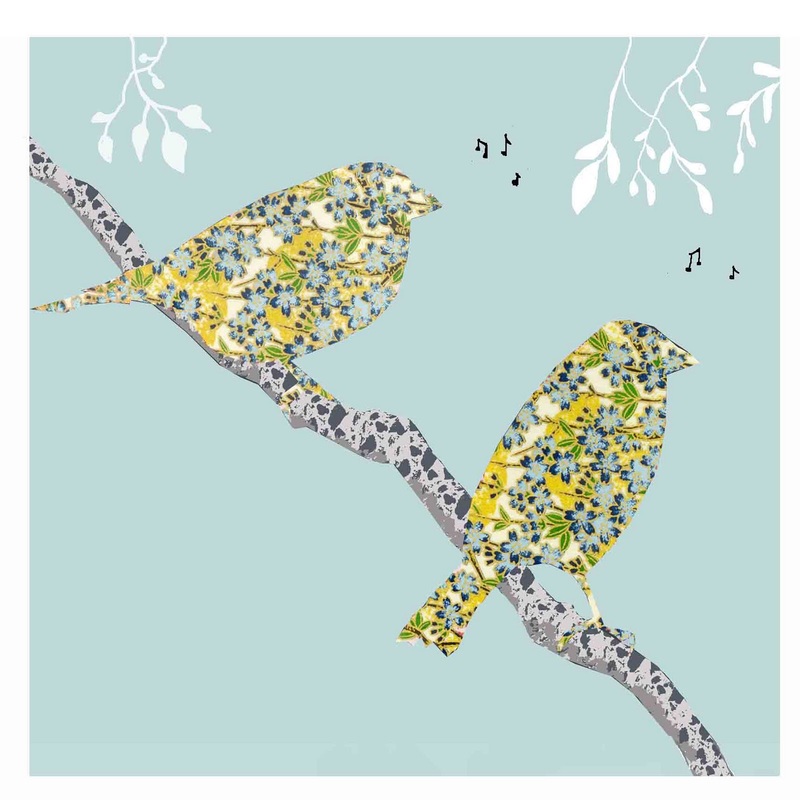 Spring is the time for birds to sing duets... :) Thank you for taking time to visit my blog and for leaving a comment. Gorgeous...love the choices you made with the patterns! I love the patterns! It emphasizes their ability to blend in.